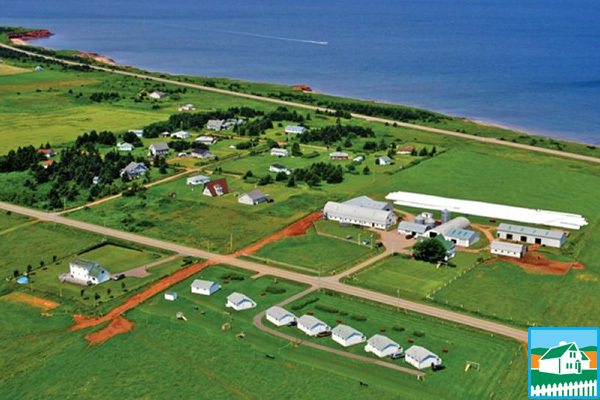 Active 520-acre dairy farm overlooking ocean. Fully equipped, heated two- and three-bedroom housekeeping cottages, pine interiors. Barbecues, microwaves, cable TV/VCRs, playground. Three-bedroom executive chalets have two baths, washer/dryer, dishwasher, phone, fireplace. Panoramic ocean view. Enjoy sunrises/sunsets from spacious decks. Rooms in home tastefully decorated with one or two double beds. Leashed pets permitted in cottages. Internet access. 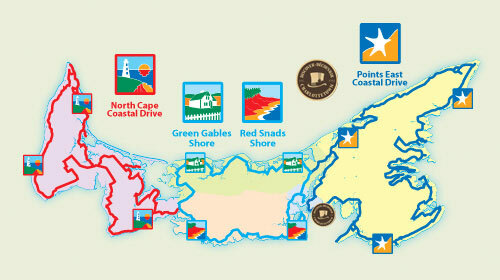 Golf, restaurants, attractions, Green Gables nearby. Walking distance to sandy beach and bike trail. Tour the farm – great learning experience for children. Interac, MC, V accepted.